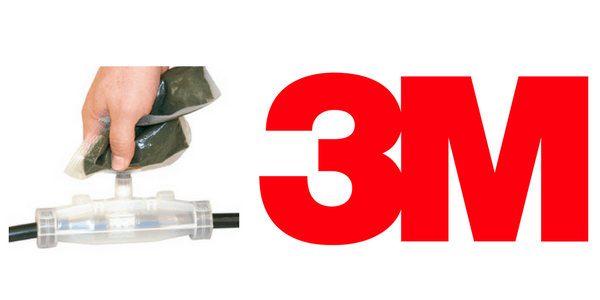 3M 91-NBA Scotchcast resin cable joint kits are designed to be used for 1-core up to 5-core non shielded polymeric low voltage unarmoured energy cables. 3M 91-NBA Scotchcast cable joints incorporate electrical insulation and mechanical protection and are compatible with both compression connectors (crimp) or mechanical shearbolt connectors for conductor jointing of copper or aluminium cores. 3M Scotchcast hazardous area cable joints are available for jointing power, pilot and instrumentation cables in Zone 1 and Zone 2 potentially explosive atmospheres – a complete range of cable joints utilising Cold Shrink technology are available for safe installation in hazardous area workplaces (HAZLOC). Resin cable joints suitable for Unarmoured Power Cables including NYY type for power and control wiring where mechanical protection is not required. When NYY cables are required to comply with the UK wiring regulations BS7671 for burial in the ground, they require installation in a conduit or cable duct to provide protection against mechanical damage. 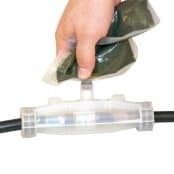 3M Scotchcast 91-NBA resin inline or straight cable joint kits are supplied with a one part translucent mould body for simple and easy handling. 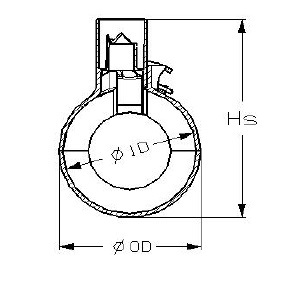 Distances inside the cable joint body can be checked easily. 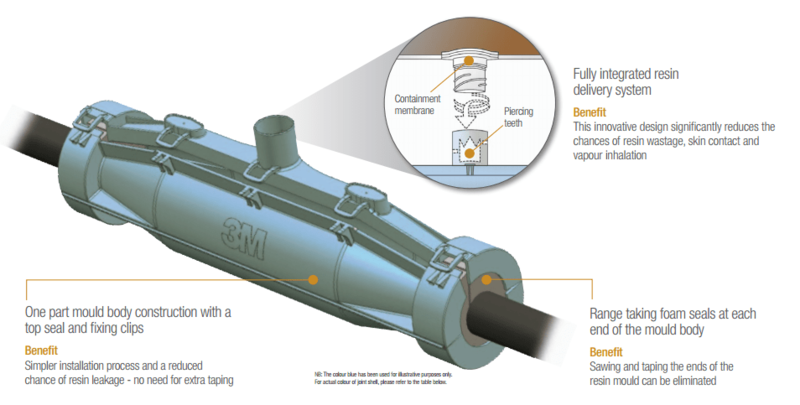 The following table enables the selection of 3M Scotchcast resin cable joints from the 91-NBA range for the connection and jointing of unarmoured cables – cable joints are suitable for location onto cable containment in air and direct burial into underground cable trench. 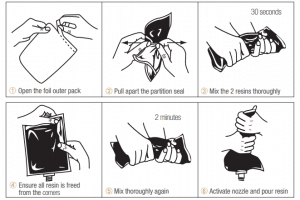 Scotchcast 470W resin is in compliance with EU regulation 1907/2007/EC (REACH) and has a shelf life of at least 36 months when stored between 15°C and 35°C with a humidity level < 75 % in the originally sealed bag.